Giorgio DeLuca, a school teacher turned cheese merchant, and Joel Dean, a business manager at a publisher, dreamed of creating a place that would offer customers a sumptuous celebration of food and a venue to experience all of the pleasures that cooking and eating can bring. 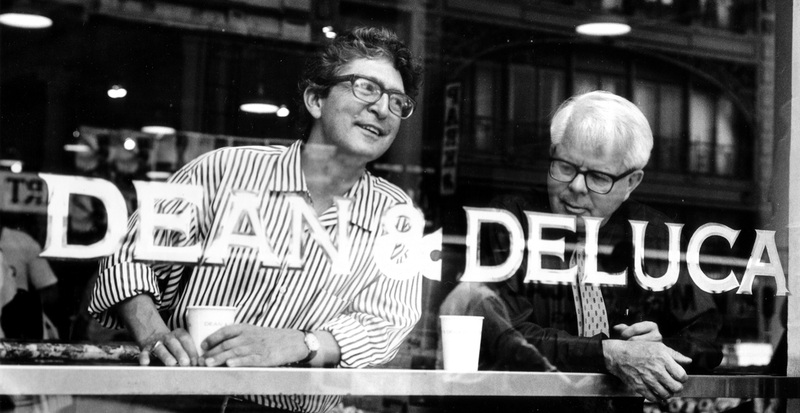 The original DEAN & DELUCA opened for business in September 1977 in SoHo, then an edgy artist and warehouse district in lower Manhattan, at the corner of Prince and Greene streets. The original store was designed to evoke a turn of the century food department, replete with ceiling fans spinning over a vast array of products that lined the soaring white walls of this enchanted emporium. Today the team at DEAN & DELUCA are proud to share our passion for food across USA, with locations in New York City; Washington D.C.; Charlotte, North Carolina; Leawood, Kansas; Napa Valley, California; and Honolulu,Hawaii. DEAN & DELUCA can also be found globally with over 100 locations. DEAN & DELUCA Hawaii is proud to present two distinctive yet complementary concepts in Waikiki. while highlighting local Hawaiian ingredients and tastes. and DEAN & DELUCA Royal Hawaiian blend at the new Royal Hawaiian Center shop. © 2019 Dean & DeLuca Hawaii. All rights reserved.